With a history dating back to 1978, SMI designs and manufactures a wide range of high-quality tube processing machines, capable to customize and adapt their equipment to suit the most variable production processes, achieving very high quality standards, also thanks to an entire in-house production. SMI's popular slogans are, in fact, "100% Made in SMI" and "We Tube". 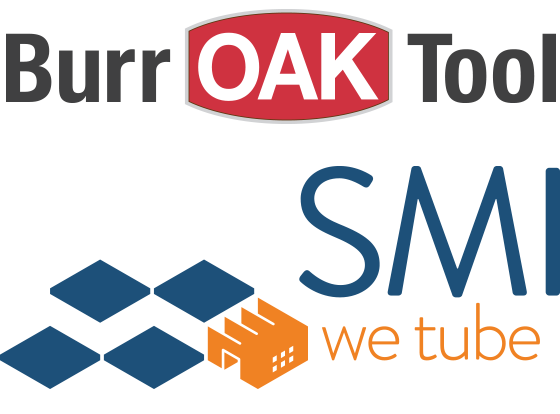 For 70 years, Burr Oak Tool Inc. has designed customized production machinery for the heat transfer and tube processing industries. Their machines and equipment are installed and successfully operating all over the globe. Providing quality machines, service and parts to customers worldwide reinforces Burr Oak's slogan "Global Experience. Local Solutions". The OAK-SMI partnership will directly benefit customers worldwide and creates a global source for even more comprehensive support, continuous innovation and unrivaled leadership. Enhanced solutions, process automation, are all available for your company, with the aim to sensibly reduce production costs, optimize machinery set-up time, offer flexibility and quick tool changeover systems.